Louis Douville and Jed Kahane have received well deserved promotions at Bell Media. 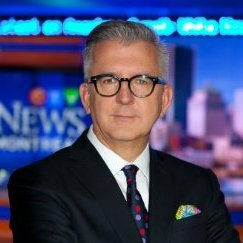 The former has gone from vice-president and general manager of CTV Montreal to occupying the same title as well for Bell's six Montreal radio stations (CJAD, TSN 690, Virgin Radio, CHOM, Rouge, NRJ). Kahane, who has been director of news and public affairs at CTV Montreal since 2008, retains those responsibilities but takes on the new role of news director for Bell Media in Quebec. In addition to the six stations listed above, he will also oversee the journalists and their work at stations in Abitibi, Drumondville, Sherbrooke, Gatineau, Quebec City, Saguenay, Trois Rivieres, St. Jean, the Gaspe, and Rimouski. Kahane is one of the nicest guys in the business and made an impressive transition from reporting to management. He began his media career at CKO Radio in 1989, moved to CBC from 1992 to 1997 and then CTV's Alberta bureau in Calgary for three years. 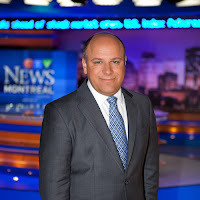 In 2000 he returned to Montreal as Quebec bureau chief for CTV, a post he held for eight years until replacing Mike Piperni at CTV Montreal. He has quite the responsibility right now, with more than 50 radio journalists plus the team at CTV under his wing. Basically, Kahane is now responsible for pretty much everything to do with news: from news policy and standards to hiring and cooperation between Bell Media's various platforms. He will keep his CTV office on Papineau and have another right across the street which houses the six radio stations. 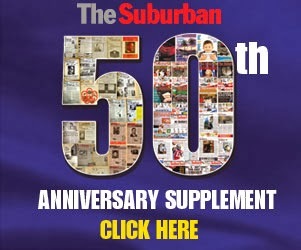 While Kahane will have the overall responsibility for news, Chris Bury remains the news and program director for CJAD and TSN 690. There have already been a number of changes at CTV Montreal, with crossovers involving Lori Graham doing weather on CJAD and Aaron Rand and Terry DiMonte doing noon spots with Mutsumi Takahashi. With Kahane dealing with these personalities on a daily basis one can only assume this could increase and that is a good thing.